Booking your luxury chauffeur driven car with Chauffeur Solutions will ensure that you receive a discreet, professional and reliable service which comes as standard when you hire either a limo, a London airport transfer or book your bespoke Hertfordshire travel arrangements with us. Whatever your chauffeur travel requirements you can book and relax in the knowledge that your needs are being attended to by one of the most reliable and trusted providers of corporate travel. 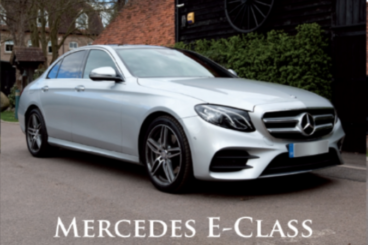 Understanding how important your time is, we strive to make sure that you are presented with a courteous, punctual service in the uncompromised luxury of our fleet of modern Mercedes-Benz vehicles. If you have received a postcard flier then please use your code in the relevant area below. The discount can be applied to both ways on a 2 way journey. For first time customers this code is valid any time. If you are a returning client then the current promotion is valid from 1st August through to 31st August 2018. Please fill in the form below to request a booking. Once your request has been received a member of the team will be in touch to confirm your booking.